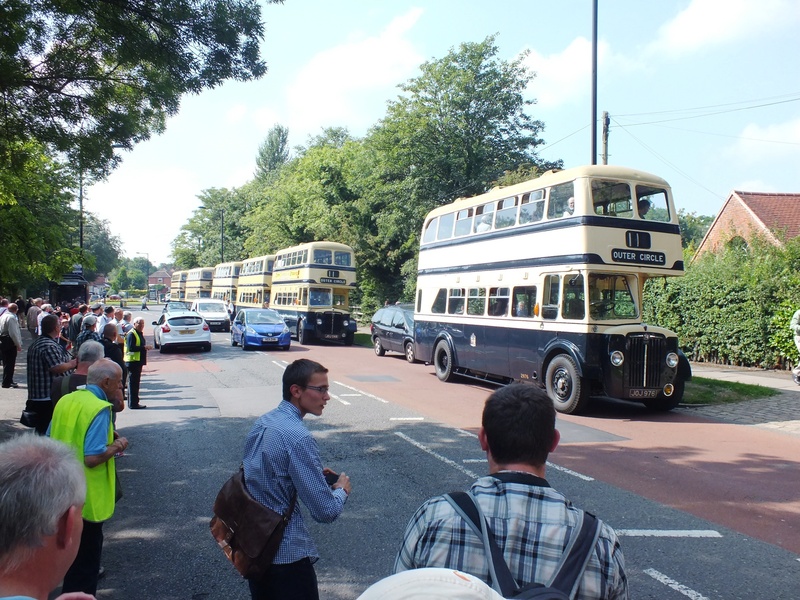 On August 26th The Transport Museum at Wythall organised a cavalcade of Birmingham City Transport “New Look” double deck buses from the 1950s to travel from the Event Day at the museum to Kings Heath, then along the Outer Circle to stand outside Sarehole Mill. 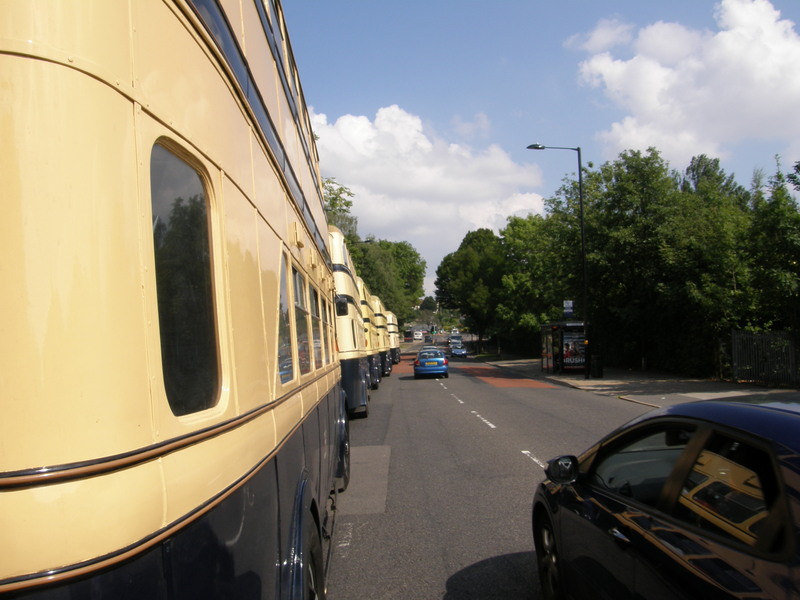 Here are a few photos that were taken whilst I was trying to prevent the real “BUS” enthusiasts from being run over by the somewhat bemused drivers travelling along Cole Bank Road! 2976 – Guy Arab IV delivered April 1953. Guy chassis fitted with Metro-Cammell 55 seat body. 102bhp Gardner 6LW 8.4 litre 6 cylinder engine with pre-selector gearbox. Based at The Transport Museum Wythall. 2548 – Guy Arab IV delivered September 1950. Guy chassis fitted with Metro-Cammell 54 seat body. 102bhp Gardner 6LW 8.4 litre 6 cylinder engine with pre-selector gearbox. Owned by The 2548 Group. 2489 – Crossley DD42/6 built in 1950. Crossley 7ft 6in wide chassis fitted with a 54 seat body by Crossley to Birmingham’s design. Crossley HOE7/5 114bhp engine with 4 speed synchromesh gearbox. 3009 – Guy Arab IV delivered 1953. Guy chassis fitted with Metro-Cammell 55 seat body. 102bhp Gardner 6LW 8.4 litre 6 cylinder engine with pre-selector gearbox. 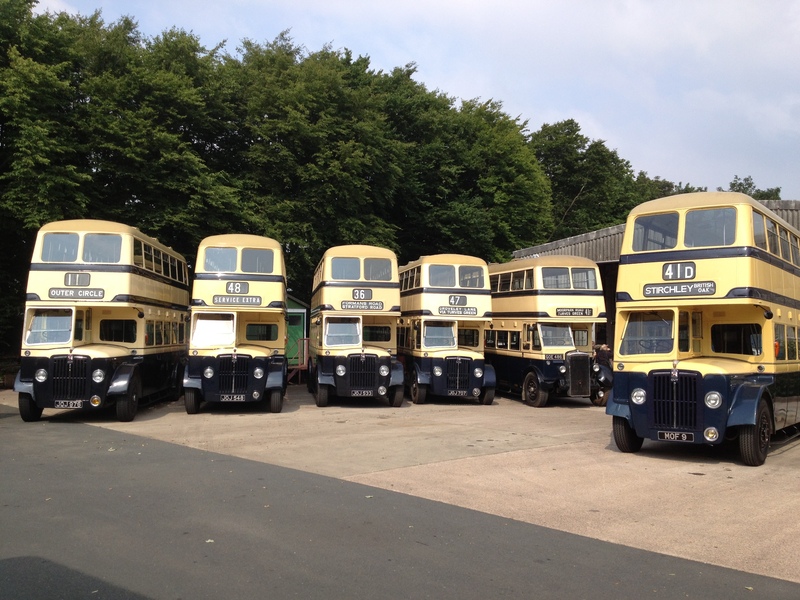 Based at The Transport Museum Wythall. 2707 – Daimler CVD6 delivered 1951. Daimler chassis fitted with Metro-Cammell 54 seat body. Based at The Transport Museum Wythall. 2533 – Guy Arab IV delivered 1950. Guy chassis fitted with Metro-Cammell 54 seat body. 102bhp Gardner 6LW 8.4 litre 6 cylinder engine with pre-selector gearbox. 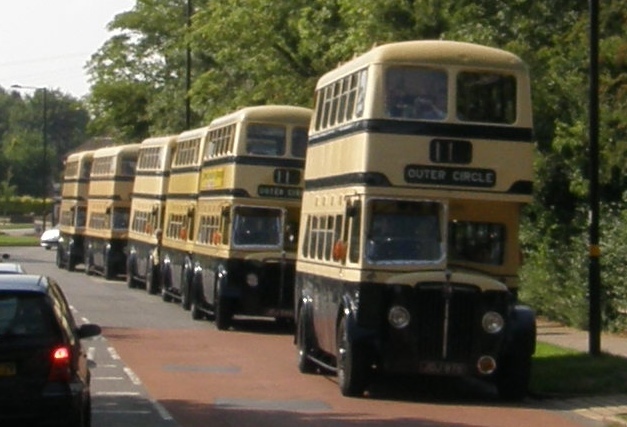 Owned by the Acocks Green Bus Preservation Group – based at The Transport Museum Wythall. 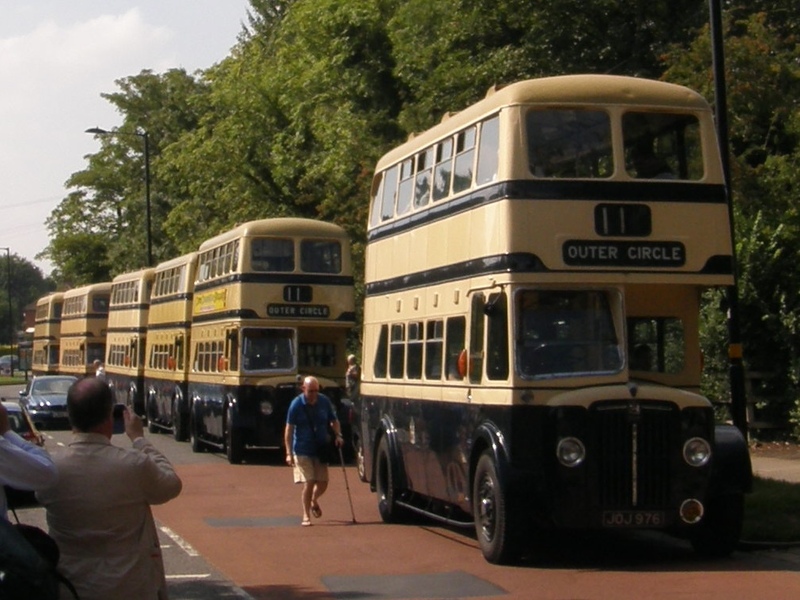 Don’t forget if you want to travel the whole of the Outer Circle on one of these buses (number 2976 at the front of the cavalcade) get in touch to buy tickets for either of our Outer Circle Tours on the 20th and 27th of September – tickets £17.00. Click HERE for more information. 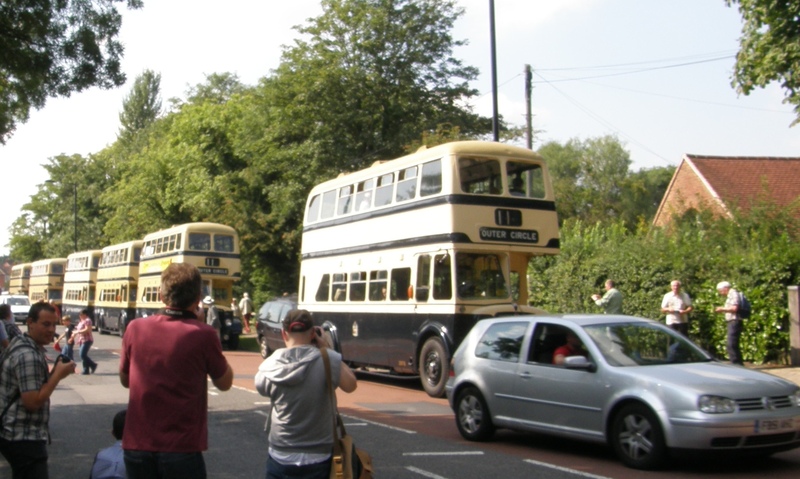 This entry was posted in Historic Bus Tours, Outer Circle Bus Trips, Wythall Transport Museum and tagged 1950s Birmingham Corporation Double-Decker, August Monday bus trip, Birmingham, Birmingham Bus, Birmingham City Transport, birmingham in the 1950s, BRUM, Bus Tour, Guy Arab IV, Historic Bus Tour, I want to sit upstairs at the front, old buses, Outer Circle, Outer Circle Bunches, Outer Circle Bus, Ride the Outer Circle, Sarehole Mill, Vintage Bus, Vintage Bus Trip, Wythall Transport Museum. Bookmark the permalink. 1 Response to A sight to behold!